AMEX Gold vs Platinum: Which is Better? The differences between the Gold Card and the Platinum Card are more stark than just metallic colors. Read this in-depth comparison to decide which card from American Express, a CreditDonkey partner, is right for you. Both offer similar general programs like roadside assistance and travel insurance, but the Platinum Card takes those amenities to another level with travel benefits and concierge service. You'll pay for that higher level though — Platinum charges a $550 annual fee (See Rates & Fees) while the Gold charges a $250 annual fee (See Rates & Fees). Which card is right for you? Read on to see our comparison of the many benefits of the Gold and Platinum cards. Airline Rewards: 5X Membership Rewards® points on flights booked directly with airlines or with American Express Travel. Airline Rewards: Earn 3X Membership Rewards® points on flights booked directly with airlines or on amextravel.com. Point Rewards: Earn 1 point for virtually every dollar spent. Point Rewards: Earn 4X Membership Rewards® points at U.S. restaurants. Earn 4X Membership Rewards® points at U.S. supermarkets (on up to $25,000 per year in purchases, then 1X). Earn 3X Membership Rewards® points on flights booked directly with airlines or on amextravel.com. 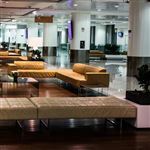 Access to 5 airport lounge networks including The Centurion® lounge network, The International American Express lounges, Delta Sky Club® lounges, Priority Pass(TM) Select, and Airspace Lounge. Enrollment required for Priority Pass Select. 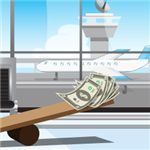 Airline Status: $100 Airline Fee Credit: up to $100 in statement credits per calendar year for incidental fees at one selected qualifying airline. Reward points. Platinum and Gold cards earn Membership Rewards points, which can be used to book flights on American Express Travel or be transferred to 20 airline and hotel partners for potentially more value. However, the amount of rewards points you earn differs for each card. No foreign transaction fee. Platinum (See Rates & Fees) and Gold (See Rates & Fees) cardholders won't get charged American Express' typical 2.7% fee for international transactions, which can add up to substantial savings for frequent international travelers. Entertainment benefits. With both cards, you get access to American Express' Entertainment Access and Preferred Seatings programs, giving you discounted tickets and exclusive seats to select concerts and shows. Unlike Gold members, Platinum members also have access to Platinum Concierge, which, among other services, can help book tickets to shows and events. Purchase protection. Platinum and Gold Card members both get extended warranties for one year past the manufacturer's warranty on eligible purchases made with their card. AmEx also offers return protection and will refund the purchase price (up to $300) on eligible items that merchants won't take back within 90 days of purchase. Travel protection. Platinum and Gold cardholders receive travel protection, including 24/7 premium roadside assistance, rental car loss and damage insurance, travel accident insurance, and a baggage insurance plan for lost or stolen luggage. Platinum cardholders earn 1 reward point for every dollar spent on eligible purchases. You earn 5x points for flights booked directly with airlines or with American Express Travel, and 5X points on eligible hotels booked on amextravel.com. As a welcome bonus, Platinum cardholders earn 60,000 points after making $5,000 in purchases within the first 3 months of owning the card. Rewards points can be redeemed for merchandise, gift cards, or travel. Airline fee credit. Every year, Platinum cardholders get up to a $200 airline fee credit towards incidental airline fees on an airline of their choice, which covers things like checked baggage fees and inflight meals. In comparison, the Gold offers a $100 airline fee credit. To receive the statement credit, you need to select a qualifying airline. As long as you travel frequently (and if you don't, this card may not be for you anyway), this credit helps justify a big chunk of the annual fee. Up to $200 for Uber rides annually. You enjoy a $15 Uber credit each month ($35 in December). That's up to $200 in annual savings. Keep in mind, unused credits do not roll over and the credit may only be applied to rides within the United States. Credit and Uber VIP status available to Basic Card Member only. 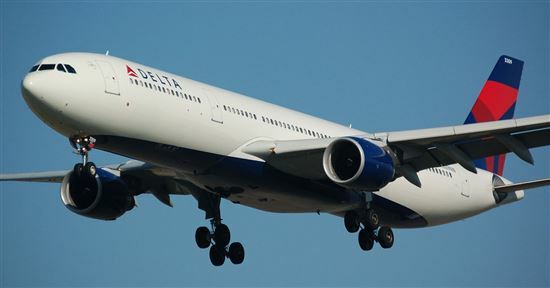 5x points for flights booked directly with airlines or with American Express Travel. If you spend a lot on airfare, the Platinum Card should be worth considering. In comparison, the Gold earns 3x points for flights booked directly with airlines or on amextravel.com. 5x points on prepaid hotels booked with amextravel.com. In comparison, the Gold does not offer bonus points for hotels. Concierge access. Platinum Card Concierge staff is available 24/7 to assist with various needs at home or while travelling, including restaurant reservations, tour recommendations, or special event planning. Concierge staff is essentially at your disposal to field requests, small or large, which is a huge benefit for Platinum members. Platinum cardholders also have 24/7 access to American Express travel consultants for travel booking. Airport lounges. Platinum cardholders get access to the American Express Centurion Lounge, as well as access to Airspace Lounges, and Delta Sky Clubs. In addition, with membership in Priority Pass Select, cardholders gain access to more than 1,000 airport lounges worldwide. Hotel perks. 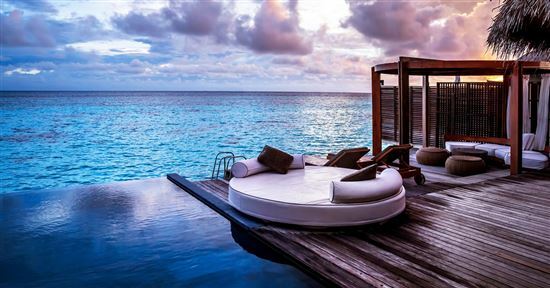 Platinum cardholders have access to deals and benefits at hotels and resorts around the world. This includes Marriott Bonvoy Gold status (requires enrollment), Hilton Honors Gold Status (requires enrollment), complimentary benefits (when booked through American Express' Fine Hotels & Resorts Program) at more than 750 Fine Hotels and Resorts locations, as well as benefits worth up to $500 per booking through American Express' Platinum Villas travel agency. Dining Perks. The Platinum Dining Program holds reservations at more than 1,000 top restaurants around the world. These reservations and VIP treatment are available to Platinum cardholders on a first come, first serve basis. Expedited airport screening. Every 4 years, Platinum cardholders can get their application fee to either Global Entry or TSAPre reimbursed, for a savings up to $100. Free Boingo Wireless. Instead of paying nearly $39/month ($468/year) to subscribe to the Boingo Global plan, Platinum cardholders get free access to over 1 million land-based Boingo Wireless hotspots worldwide on up to 4 wifi devices without incurring any roaming fees. Car rental perks. Platinum cardholders get complimentary membership in Avis Preferred Club, Hertz Gold Plus Rewards, and National Car Rental Emerald Club Executive. Subject to limitation including age restrictions. Invitation-only events. American Express holds exclusive events around the country, such as private tours and access to special events and top-tier hotels and restaurants. Holding a Platinum Card can help you get an invitation to one of American Express' top events. 4X Membership Rewards® points at U.S. supermarkets (on up to $25,000 per year in purchases, then 1X). Lower annual fee. Gold Card has a $250 annual fee. Conversely, the Platinum Card is more expensive with a $550 annual fee. Rewards structure. Gold cardholders earns more points at U.S. restaurants and U.S. supermarkets. The same purchases on a Platinum card earn only 1x point. You don't travel internationally too much. 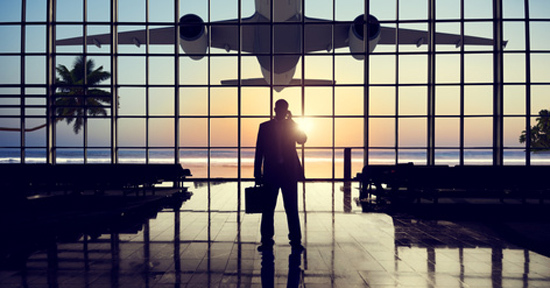 A lot of the Platinum's benefits are better for international travelers, such as lounge access, Global Entry application fee credit, and Boingo wireless access. If you don't need these benefits when you travel, then it might be better to save yourself the annual fee and just go with the Gold. Expensive annual fee. The annual fee of $550 can be justifiable if you take advantage of the available perks and bonuses. However, this card is too expensive to be used infrequently. Points program. 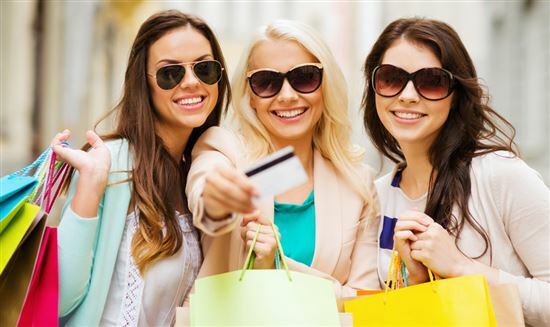 Although the Platinum Card offers rewards points for purchases, including 5x points for flights booked directly with airlines or with American Express Travel. 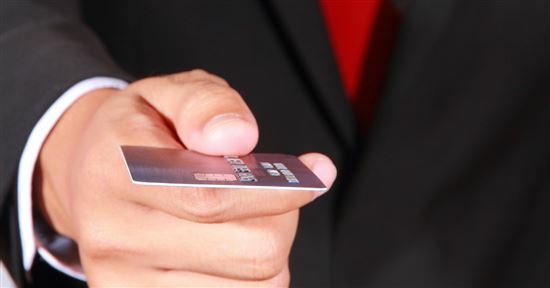 In our opinion, the value of the card lies in its travel and concierge perks. Annual fee. 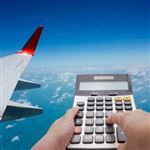 The $250 annual fee may be worth considering if you regularly make purchases at U.S. restaurants, U.S. supermarkets or book flights directly with airlines. Otherwise, you may want to consider a no annual fee credit card instead. So, Should You Get the Gold Card or the Platinum Card? Both cards come with perks, rewards, and the prestige of carrying a premium charge card. The Platinum Card most notably comes with complimentary access to select airport lounges and 24/7 Platinum Card Concierge support; it is targeted to people who frequently travel internationally and who can take advantage of the airline fee credit, lounge access, expedited airport security, and more. The Gold Card is best for travelers who aren't inclined to use Platinum's concierge service or who don't visit airport lounges multiple times a year to justify the $550 annual fee of the Platinum card. The card is also good for those who can take advantage of the reward structure. As with all card offers, terms and limitations apply.